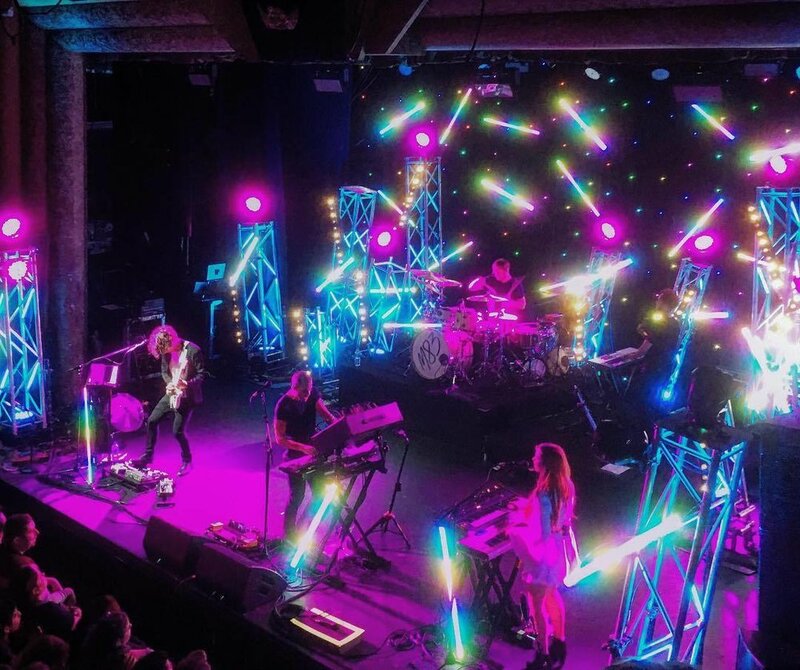 The circles of lighting designers for tours is surprisingly tight knit, and one of the names that will keep popping up is Sarah Landau. Along with being one of the most talented production designers and performers in the game right now, she’s also great found a way to find some balance between the worlds of nonstop touring and getting to enjoy life, which anyone who has done it will tell you is no easy task. When we first met Sarah back in 2013 she was on the road with Passion Pit and already well established as one of the top up and coming LDs in the game – since then she’s worked with m83, Grimes and a bucket full of other amazing musicians… and now we’ve finally gotten hold of her for a minute between jumps for a quick interview about her latest gigs and world travels! Joining us in this post is Madrid based artist Magmovies, another world traveling VJ who truly loves getting to push pixels around the globe. It is always inspiring for us to see people who enjoy this craft so much and for this reason we have been following Laura on social media for a little while now – and we figured it out was about time we had her for an interview so you can enjoy her work as well! 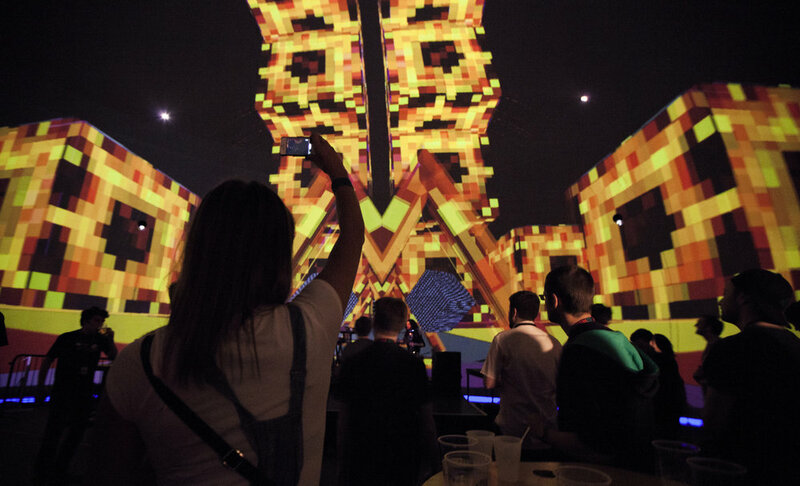 Over the last few years La Gaîté Lyrique has become one of the most well known venues for live visuals, serving as a place for musicians and other artists to work on special events that make use of the 360 projection space and skills of the resident on site team. In this interview we are joined by Martial Gallorini, one of the video specialists currently working at La Gaîté Lyrique about the space, their production process and some of the artists they’ve hosted. What is La Gaîté Lyrique and what do they do? La Gaîté Lyrique is a former 19th century theater. After a long period of inactivity it was left abandoned and classified as historical monument. In the early 2000, it was re-built from the ground-up and it the re-opened to the public in 2011 as now a cultural center dedicated to digital art and cultures. La Gaîté Lyrique is located in the center of Paris, France and is a polyvalent center where we attend about 1000 events a year, from smallest ones like workshops to big festivals. We are running every types of events related to digital arts and emerging cultures like. The building is divided into main sites like an exhibition space, a small auditorium for film projections and conferences, a bar, a digital art dedicated library, video games booths, a small immersive room called La Petite Salle, and a concert hall called La Grande Salle which can accommodate about 750 people. Besides we also have exchanges with local schools to introduce creative coding and digital arts to young students. We also host artists in residence and start-ups for them to work on their projects. 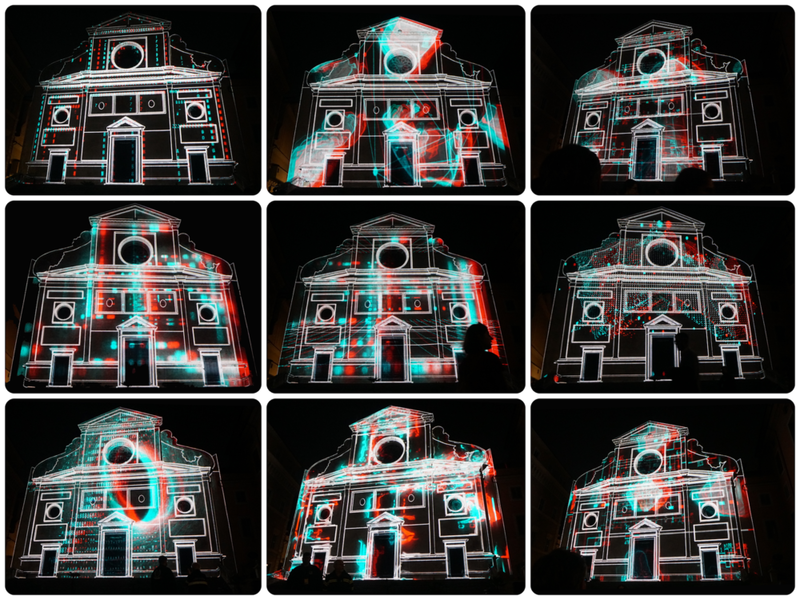 The special feature of the venue is La Grande Salle and its ability to run 360° projection shows using 8 video projectors. La Petite Salle can also do 360° video projection using 6 projectors. In this concert hall we welcome private events, concerts, film festivals or music festivals. What tools (hardware, software, other...) do you use in the creative process? How has this changed over the years? I can only speak for my job which is leading the video department alongside my close collaborator David, but due to the aspect of very wide number and type of events, we need a lot of different hardware and software tools meet the needs of each type of event. We have a fleet of video projectors from 3000 to 10 000 lumens and different aspect ratios and full HD screens. We also have plenty of media players like Mac minis, brightsign players, SD Card readers, cameras, streamers etc... And obviously due to the wide type of video signal types and sources with each their pros and cons, we do have a bunch of converters, matrices, extenders and different type of scalers. 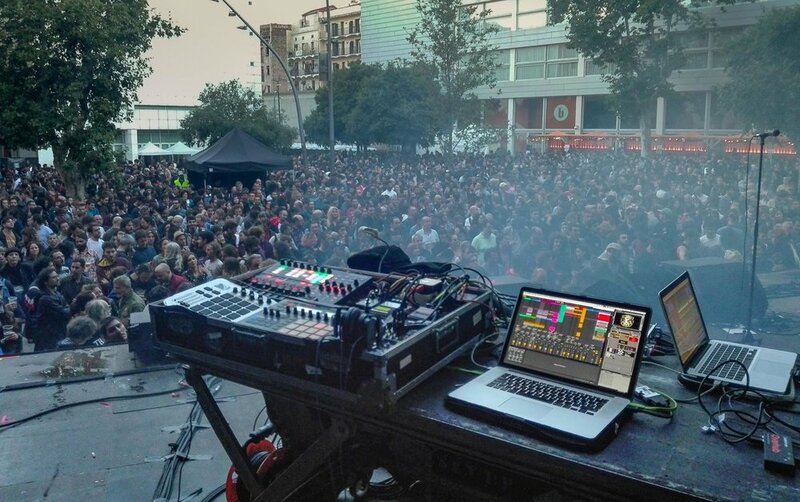 For example, our day to day software tools are VDMX, Touchdesigner, Millumin, Resolume, Modulo Pi media servers Max/MSP, openFrameworks, Processing, Arduino... and protocols such as OSC, MIDI or NDI. Honestly, we unfortunately don't have time to do much creative contents but we rather welcome artists and assist them with their needs and sometimes help them adapt their video installation for an exhibition or video content for a show. From the start, we've been using Mac Pros and VDMX for projection purposes on concerts and video installations in exhibitions. Originally we were using 4 computers to play clips in sync clips in the concerts 360° setup but with the evolution of computers power it has become much easier and setting up a show has become a breeze and we can now save time for the artists to work on their show during sound checks. Tell us about the most recent projects in development at La Gaîté Lyrique! Well, La Gaîté Lyrique activity remains the same and we are still working hard on programming great shows and festivals. One of our next big project is setting up the incoming exhibition opening next March. Technically speaking, the opening season's big challenge is the full upgrade of the La Grande Salle video infrastructure and workflow. We are upgrading our projectors to laser source technology and rework the whole signal infrastructure to HDBaseT and fiber optic. Unfortunately it is still a bit early right now, but still, we are working towards a base infrastructure that would be compatible with the foreseeable IP video distribution. For now we are using NDI where possible as a transition to IP world at low costs, and it is really great because NDI protocol is really spreading in the software and hardware industry, making a lot of soft / devices compatible. But i think the future is uncompressed or mezzanine compression video signal distribution will be the future as soon as we see an agreement for a standard. If you live in Paris, or happen to be visiting, make sure to visit La Gaîté Lyrique for some amazing shows. You can also find more photos and videos on the La Gaîté Lyrique Instagram page. In another blast from the past we've just received an email from Angie Eng about a new visual music festival being organized in Boulder, CO. it sounds like an awesome time and you can find out more about the open call for works below. I am Johnny DeKam. Many of you know me as the founder of VIDVOX and original creator of VDMX. Ever since I stepped down in 2004, I’ve been a video designer and director, working mostly in the music industry, as well as Fine Arts and a myriad of other projects. VIDVOX has now reached an epic 20 year anniversary! David and I thought it might be interesting for you to hear more about me, and the humble roots of VDMX that you all love. So let's start with a deep history. VIDVOX's roots grew directly from making art, and in this regard, has always been creator focused. I started VIDVOX alone, on a mission to build better tools for my own personal work... but how did it all begin? This is an origin story. A few weeks ago we had the pleasure of getting to go to Splice Festival for the first time. Along with getting to participate in workshops and check out great live A/V performances, the inspiring artists talks were a big highlight of the trip. In particular we finally got to meet Lucy Benson and hear about the creative process behind her amazing work. Videos from each of the talks from Splice will be online at some point in the future, and we recommend checking them out, but in the meantime we've got a little advanced interview with Lucy! One of our favorite things is getting to see videos of people from around the world posted online. 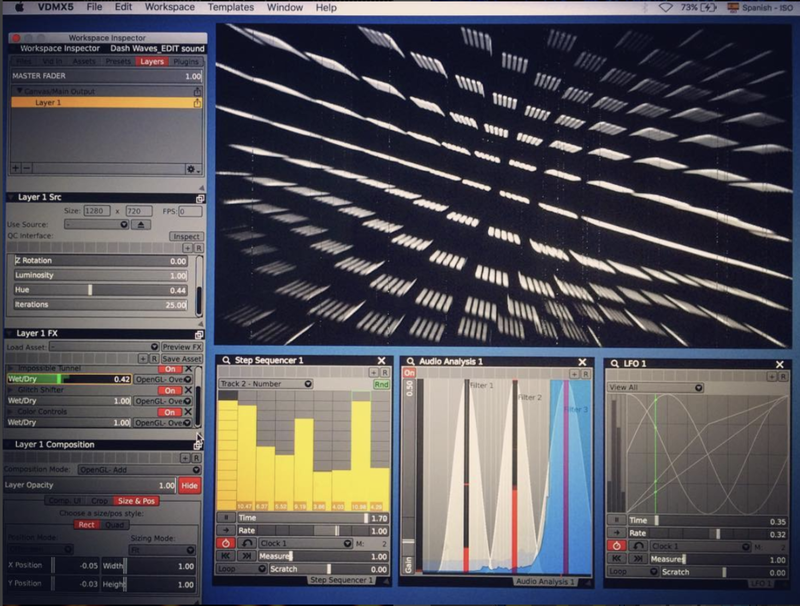 Last week we caught some visuals from vjZaniZ in the VDMX Facebook Group and had to reach out for more details. For this artist feature we had a chance to talk with someone who has been doing this way longer than we have – by a few decades. It's always a particular pleasure for us to know that the tools used today connect back to a rich history of analog film and video that still have a fingerprint on the modern visual arts. With that experience Charles Atlas is one of those artists who has the special talent of bridging different genres of performance and production into a single cohesive piece. When asked to send over some videos and images to include with this post Charlie put together an amazing collection for us that goes back 15 years, so strap yourself in for a bit of time travel through video. To be filed under artist features that have been too long in the waiting is the work of Funken, who have been on our radar of visual artists for a few years and now are excited to finally follow up with for some behind the scenes info.